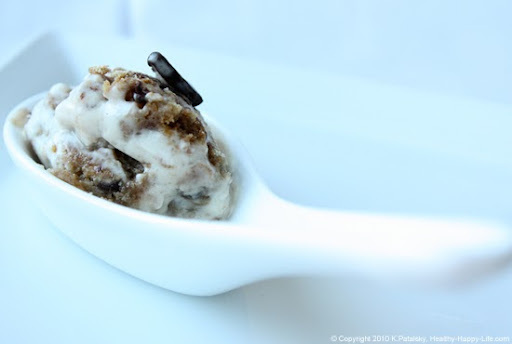 Review of STOGO: Vegan Ice Cream in NYC. Crave it! 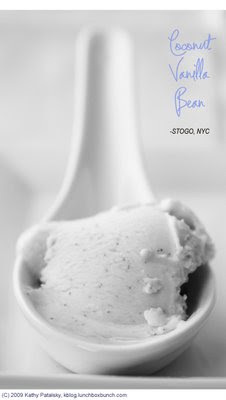 Coconut Vanilla Bean, Mexican Spiced Chocolate, Honey Lavender, Chocolate Chip Cookie and even Mint Chocolate Chip are just a few of the decadent vegan flavors of "ice cream" you will find at STOGO in the East Village of NYC. Celebrity Cool - in more ways than one. Co-owned by actress Kyra Sedgwick's brother, Rob Sedgwick and Rob Horn, this brand spanking new "ice-cream" shop took quite a risk opening in the dead of a very chilly NYC winter. But each time I have visited, the place has been packed with intrigued vegans and non-vegans alike. What drew me in? I'll admit, the NYMAG Grub Street post and bloggarazzi photos of Kyra and Kevin Bacon chowing down on vegan ice cream-winter coats and all. Cheesy photo-op, but it certainly started the foodies buzzing. But the big question: Does STOGO get the job done? 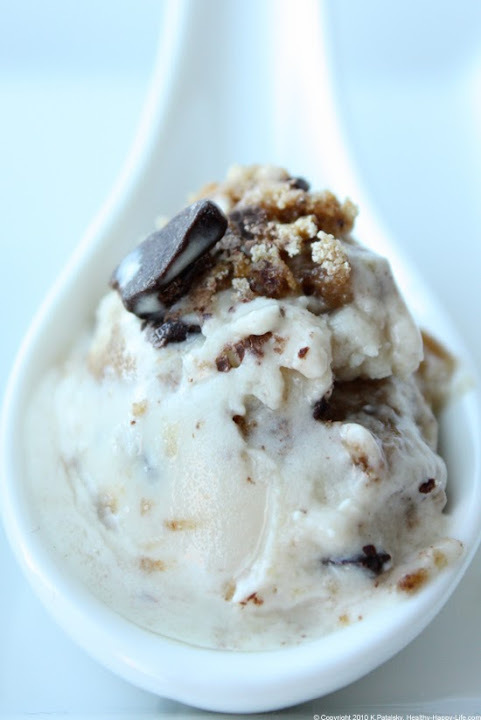 Is its vegan ice creaminess yummy???? Shelf-Appeal: Adorable, brightly-lit shop, right across the street from St. Mark's Church. Nice window-seat bar, not a lot of table seating though. (Summer is going to be crowded!) Nice selection. They even have soft-serve and Babycakes bakery goods. Label Check: 100% vegan, dairy-free. Some flavors contain a soy milk base, others contain a coconut milk base. 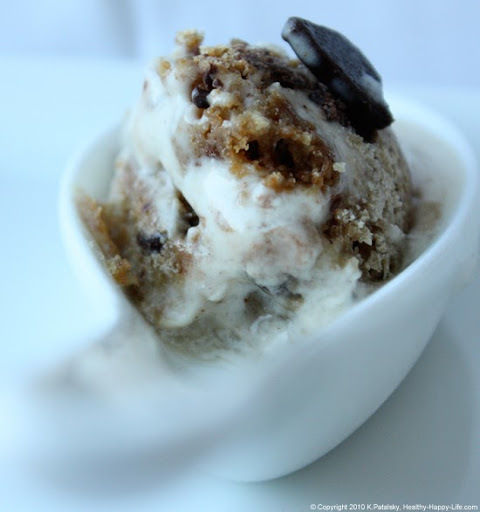 Drastically lower in saturated fat than ice cream or gelato. Fresh fruit and natural flavor combos. Natural ingredients. Yippee! Taste Test: This is soy? This is vegan? Wow. My first big surprise taste was the creaminess and softness of the texture. Yet it is still incredibly rich and thick, like a gelato more than an ice cream! The Coconut Vanilla Bean and Chocolate Chip Cookie are my favorites. Although the Mango Banana and Mexican Spiced Chocolate are also impressive. Biggest wow: It is leagues above any store bought soy ice cream I have ever tried. ...Which quite frankly shocked me because I adore a few store brands. Price: Not cheap. But good ice cream never is. About the same price as I would pay for a perfect laboratorio del gelato sorbet. Two large packed pints is about $19. 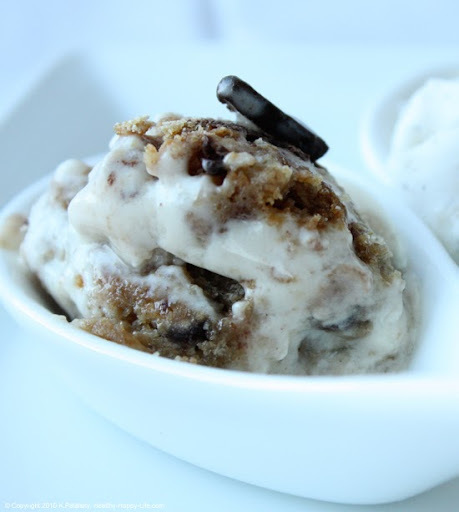 Last Word: I better save up my dessert change for the warm summer nights ahead. (It's freezing outside and I'm still eating this stuff.) 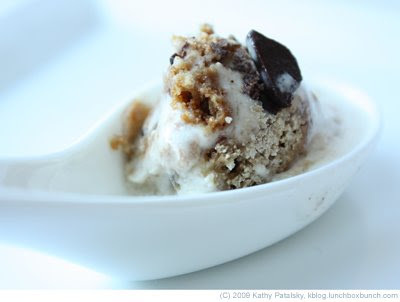 Watch out gelato, vegan-cream is predictably the summer 2009 trend. Coffee, tea, Babycakes bakery goodies, chocolates, ice cream and soft serve.